If you’re looking for a way to spice up your beer pong games then this is exactly what you need. The premise and execution is extremely simple, yet it adds a layer to the game that it seemed to be missing before. After playing a few rounds of pong using the Pong Deck cards I’m not sure that we’ll ever go back to the normal way again. Our first thought when we saw Pong Deck was “How did we not think of this?”. It’s just that simple of an idea that you’d think would have been around since the invention of beer pong itself, but apparently it took a couple kids from Chicago to make it a reality. 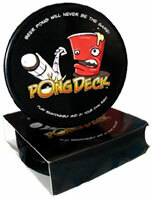 The game comes packaged in a very simple, yet effective, hockey puck-style container that holds your entire Pong Deck, Deck. Each deck contains 50 cards which are made up of drinking cards and action cards. There are 18 unique cards spread throughout the deck and can range from having to do a hook shot on your next throw all the way to just straight up chugging a beer. The cards themselves appear to have a protective coating to them which prevents them from getting damaged if they get wet, which is bound to happen. This also makes them extremely easy to clean if you need to. The game is as easy to play as it sounds. 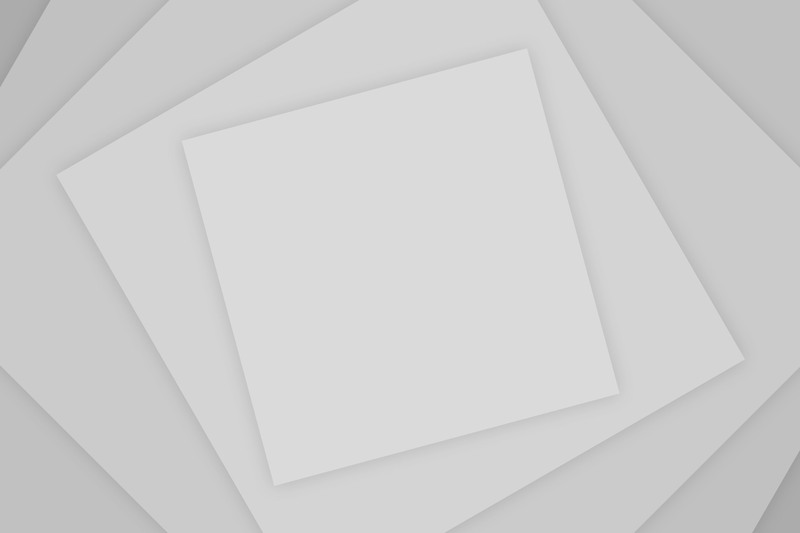 While you’re setting up your cups for a game of beer pong, just place 1 card from the shuffled deck under each cup, once a player hits that cup on other side of the table, the other team must do whatever the card says…. that’s it! As long as you know how to play beer pong and can read, then this game is extremely straight forward. None of the cards are confusing and the artwork on them is pretty cool. We had a blast testing these out this weekend, it’s amazing how one action card can change the whole dynamic of the game. Like I said above, I’m not quite sure how we’ll ever go back to playing normal beer pong. Pong Deck is a cheap, great way to spice up a game that can get old after a while. So with that said, we can’t recommend this enough, so head on over to pongdeck.com and pick up your own deck for as low as $9.99. Who do I email inorder to review my drinking game product?